You can always expect the unexpected from Lush. They are one of my favorite skin and body care brands. If you haven't tried their face masks or body conditioners, go now! 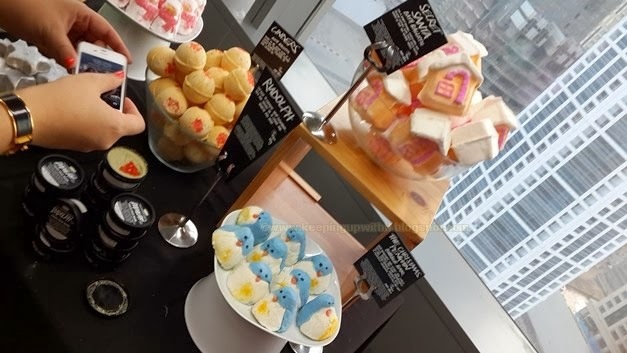 To celebrate the launch of their limited edition Winter Collection, Lush hosted an interesting event exclusive to bloggers and press. The invitation I received was quite fun and unique. 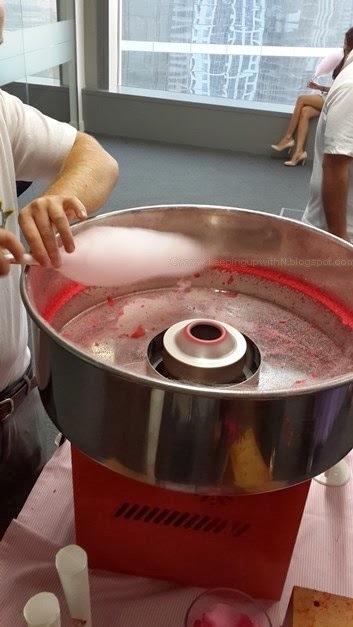 When I arrived at the venue, the first thing I spotted was a cotton candy stand. Almost every friend of mine knows that I am obsessed with cotton candy. It was my regular treat when I was a kid. I can still eat about 5 to 6 of them. 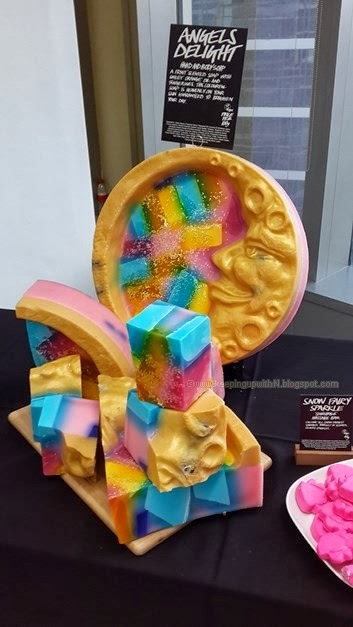 Thank you Lush, can we have the same thing for the next event? Ok, moving on...Lush put up a fun Christmas play to introduce the new collection. 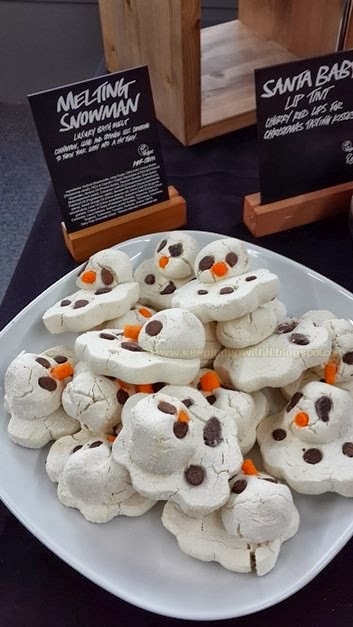 Think stars, snowmen, penguins, Santa, candy mountains and a host of other festive items. The collection features new products for bath, body, skin and lips. 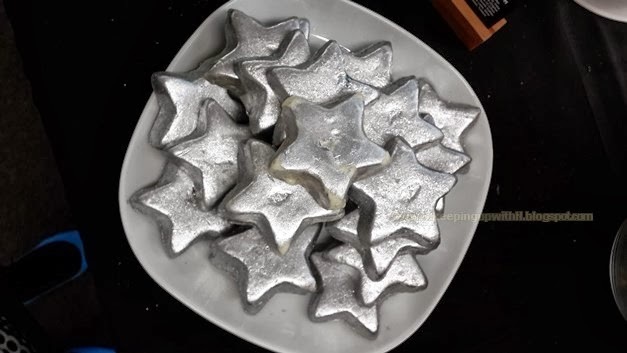 Have you seen the silver bath melts that contain shea butter, cocoa and coconut oil for perfectly moisturized skin? Or bubble baths made of mandarin oil, calming jasmine, fluffy white bubbles and vanilla? There's the Melting Snowman (don't you love the way it looks?) that was creating by mixing cocoa butter, almond oil and cinnamon oil to moisturize the skin leaving it supple. 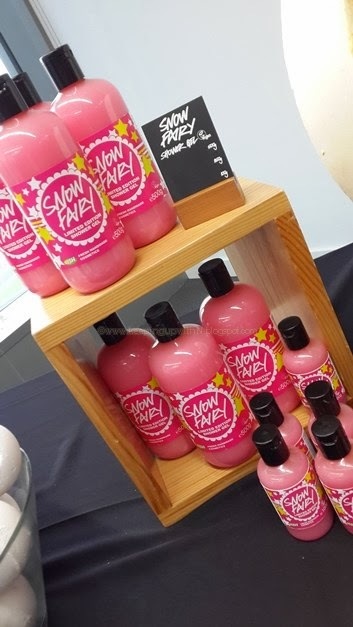 The Snow Fairy is a limited edition shower gel (I love Lush's shower gels) that smells like cotton candy(!). It also doubles up as a shampoo leaving hair smelling pleasant. 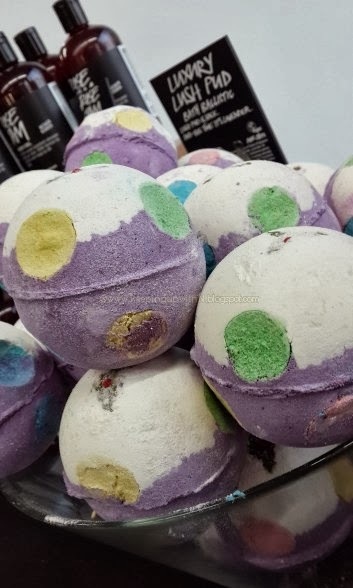 The Lush Pud is a bath ballistic that looks so pretty with the colorful polka dots. I feel like saving it as opposed to using it. 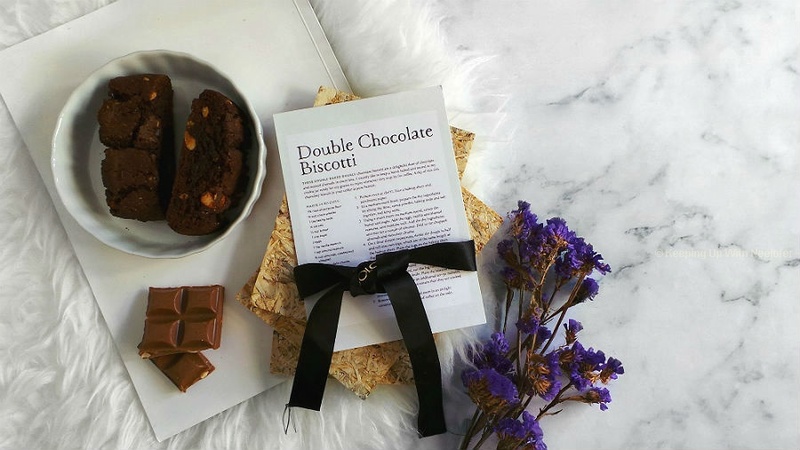 It contains lavender and Lush suggests to use it right before bedtime. Goodbye, insomnia. How amazing does this look? Known as Angel's Delight, this is a fruity soap made of mandarin and tangerine oil. It's a sure shot way of uplifting your senses. There are so many products within the range and I'm sure you will find your favorite. I'll be reviewing a handful of them shortly (I already have my favorites! ), so watch out for this space. Lush's limited edition Winter Collection is now available at all Lush stores in UAE. Remember, they are limited- so hurry and get them while you can.